We left early on Tuesday morning for Bristol to visit the New Room also known as "John Wesley's Chapel. The New Room is the oldest Methodist meeting house in the world. The New Room was built in 1739 and then enlarged in 1748. John Wesley built the meeting house as a place for those who who wanted to be instructed in the faith. It also provided a place for educating the poor, giving help and comfort to those in need, and giving medical help to those who could not afford it. 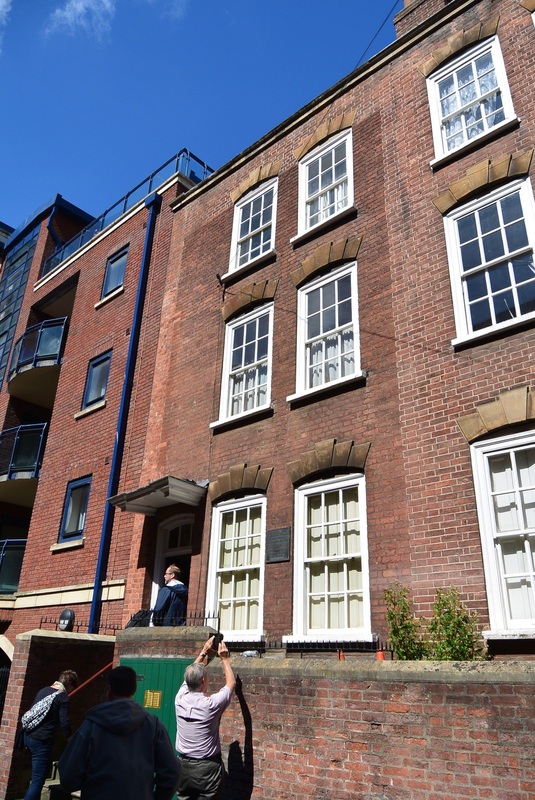 The building also became a place for training the early Methodist preachers and provided a place for them to live and study. John Wesley used the New Room as home base as he traveled about preaching at the brick yards and coal mines. We also visited Charles Wesley's house which is located several blocks from the Chapel. Charles lived in the house with his wife and family from 1766-1771. While in Bristol, Charles Wesley wrote some of the 9000 hymns that he composed during his lifetime. Charles also helped Wesley with the preaching and training of the laity and pastors. It's late so I'll sign off for now.